A few years ago, Keio University’s library faced a challenge: they needed more books to support the school’s growing curriculum, but were running out of space. Here’s what they did. 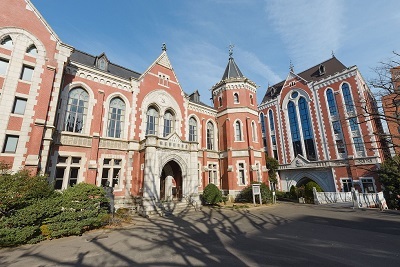 Sprawled throughout the urban metropolis of Tokyo, Keio University’s six campuses comprise more than 150 years of history. Students and scholars from around the world come to Keio in pursuit of educational and research opportunities: more than 33,000 students from 74 countries, at last count. Keio offers interdisciplinary and international curricula, including a series of degree programs in English. So it would seem natural that such an expansive university’s library would require a massive collection of resources – and it does. The Keio University Media Center holds nearly 5 million volumes, including extensive electronic resources for off-campus use. 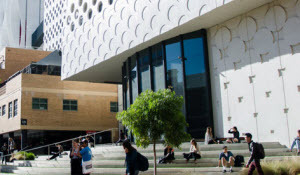 Each campus has its own branch and its own unique collection. The library also provides online and in-person services to support education, research and a variety of other student and faculty needs. The Media Center’s original focus was collecting foreign academic books to support faculty and graduate students. 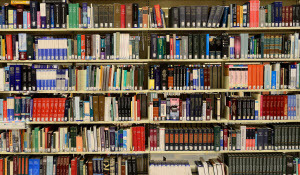 But despite the library’s already-chronic shortage of storage space, their scope began to expand, requiring them to provide materials for undergraduate studies in new English-only degree programs – like the Global Information and Governance Academic Program (GIGA) and the Programme in Economics for Alliances, Research and Leadership (PEARL). In 2016, to adapt to the school’s evolving information needs, Keio University began using Ebook Central, ProQuest’s popular ebook platform. 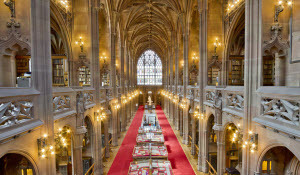 They also began acquiring books through demand-driven acquisition (DDA) – allowing patrons to browse any title from the library’s collection for five minutes before submitting a purchase request to the library. The library staff then decides whether or not to purchase the book. DDA – which helps libraries manage budgets and make evidence-based purchasing decisions – is an essential acquisition model in libraries worldwide. In a recent ProQuest survey of 460 libraries, nearly half said they’re using DDA to meet researchers’ growing demand for ebooks. And ebooks acquired through DDA are more likely to be used. Analyzing data from 1,194 libraries, ProQuest found that 41% of titles acquired via firm order are rarely used, compared to only 14% acquired through DDA. Since the introduction of DDA, usage of ebooks has steadily increased. Between April 2016 and March 2017, the Keio Media Center had purchased about 1,300 new titles. Although the library was initially concerned that patrons wouldn’t accept this scheme, they saw the opposite trend. Ebook Central is now widely used by both students and researchers, and statistics have shown that the use of new books, especially those recently published by universities and other academic publishers, is high. Ninety-six percent of Keio’s purchased titles have been used more than once, and the average number of sessions per title is 5.5, indicating repetitive use. Keio’s librarians have also benefitted from LibCentral, Ebook Central’s administrative portal. LibCentral’s analytics allow librarians to get an in-depth look at sessions, viewed pages, chapter downloads, printed pages and more – which also helps them understand the potential needs that do not lead to requests. LibCentral’s usage data has given Keio’s librarians confidence that DDA helps them select titles and build a collection that meet patrons’ demands. Even better, Keio sees an improvement in responsiveness to user needs. If you’re interested in learning more about how DDA can help libraries like Keio’s build collections on a budget, visit the Ebook Central website, download our DDA brochure, or contact us. Download a full case study on Keio University in English or Japanese.